Spider and UMSA has cooperated in improving research management and educational processes in general through ICT since 2013 . This sub-programme is part of Sida´s 5-year research cooperation programme with the University. SPIDER gives advise for the creation and implementation of an ICT-master plan and provide trainers for courses about capacity building in research management, ICT supported research management, and dissemination of research results through ICTs. The ICT-master plan was built mainly on a diagnostic between the needs of UMSA’s current state of ICT infrastructure and their vision for the future. The plan includes projects in macro and micro format with estimated requirement and price assessments. 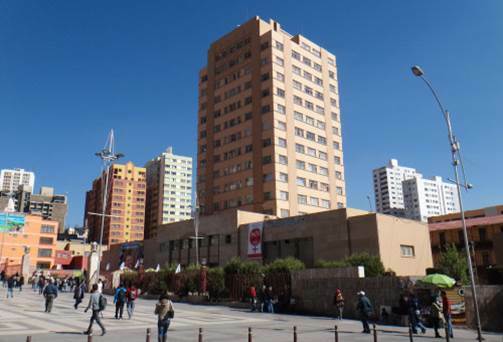 The Universidad Mayor de San Andrés (UMSA) is the leading public university in Bolivia, located in the city of La Paz. Founded in 1830, it is the second oldest university in Bolivia. Its student body of over 80 000 students makes it the largest university in Bolivia.